That was Gina Miller’s evocative phrase for the power of the Crown when she was interviewed on Radio 4 before the hearing in her case, R (on the application of Miller) v Secretary of State for Exiting the European Union  EWHC 2768. An ancient secretive royal prerogative sounds like the personal privilege of a despot like King John. Have we failed over the past thousand years, perhaps from mere absent-mindedness, to complete the constitutional transition to responsible government, because we have not altogether abolished the power of the Crown? The purpose of this note is to argue that the answer is ‘no’, and that there are reasons of constitutional principle for the British government’s executive power. Those reasons give a positive justification for the authority of the Crown in 2016. That justification undermines the interpretation of the European Communities Act 1972 on which the Divisional Court’s decision in Miller depends. As a general constitutional rule, ‘the conduct of international relations, including the making and unmaking of treaties, is a matter for the Crown’ (Miller ). Parliament does not represent the UK in international relations. Parliament does not even ratify treaties. But it can make or unmake any law for the UK. If a treaty is designed to have effect in domestic law, the government can present a bill to Parliament to give it the desired effect. If Parliament passes the bill, the treaty will have effect according to the terms of the legislation. The government cannot overturn a statute. And, if it acts on behalf of the UK to withdraw from a treaty to which a statute has given effect, the government is not overturning a statute. The rights under the treaty that were given effect in English law no longer exist –not because the government has acted contrary to the act of Parliament, but because the treaty no longer exists. Parliament, being sovereign, could enact that there is to be no withdrawal from a particular treaty (or from treaties in general) without approval of Parliament; that would change the constitutional arrangement. So it is true, as Mrs Miller said: the executive cannot overrule Parliament. For example, the Crown has no power to deprive European Union law of effect, as long as the UK is a member state, and the European Communities Act 1972 is in force. But, if it terminates a treaty to which Parliament has given effect, the executive does not overrule Parliament. Professor John Finnis has explained these home truths of constitutional law painstakingly in a pair of posts on ‘Terminating Treaty-based UK Rights’, here and here (Mark Elliott and Hayley J Hooper discuss his argument and elaborate on it in Critical reflections on the High Court’s judgment in R (Miller) v Secretary of State for Exiting the European Union). Finnis uses the analogy of a double tax treaty between the UK and another country: if a treaty gives a UK taxpayer a right not to pay tax on income that was taxed in the other country, the taxpayer has that right in UK law only if Parliament gives effect to it. If Parliament does so, and then the UK withdraws from the treaty (or the other country cancels it), the taxpayer loses the right. But the Crown has not overruled Parliament by doing so, unless Parliament enacted that the government could not act on behalf of the UK to withdraw from the treaty. The ‘primary submission’ of counsel for the claimants in the Miller case was merely an assertion to the contrary: that it would be unlawful for the government to trigger Article 50 because that would take away rights that Parliament had conferred. Counsel called those treaty rights ‘statutory rights’ twenty-nine times (see the transcript made available by the High Court) to get the point home. But it very neatly begs the question, to call them ‘statutory rights’ as if that decided the question whether the government could take an action under the treaties that would result in the termination of the rights. The constitutional principle at stake is that the government cannot act contrary to statute. The government does not act contrary to statute if it changes a treaty after Parliament has given effect to the treaty. I propose, with respect, that the presumption that the judges acted upon could only be justified if there were a deficit in the legitimacy of the British government’s constitutional authority to decide how to act in international relations on behalf of the United Kingdom. But on the contrary, there are good reasons of constitutional principle for the government to have the authority it has in international relations, and good reasons for it to be respected in this case. Those are reasons against interpreting the ECA 1972 as taking away that power. You may well say that the Treaty on European Union is very different from a double tax treaty. And the ECA 1972 is an extraordinary act of Parliament. It gave effect to a new legal order of international law, and gave it an effect that supersedes the effect of contrary acts of Parliament. The Divisional Court was right to say that it is ‘a statute of special constitutional significance’, and was intended to produce ‘profound effects’ in domestic law . Withdrawing from the EU, needless to say, is an act of special constitutional significance. Because of that special constitutional significance, the Court in Miller concluded that ‘it is clear that Parliament intended to legislate by [the ECA 1972] so as to introduce EU law into domestic law …in such a way that this could not be undone by exercise of Crown prerogative power’ . If constitutional principles make it unacceptable for the government to make the decision to withdraw from the Treaty on European Union, then, you might say, the court had to act on a presumption that the effect of the ECA 1972 was to terminate the prerogative to do so. The constitutional principles that the Court had in mind were the rule of law, which gives legitimacy to the courts’ role in the constitution (‘The courts have a constitutional duty fundamental to the rule of law in a democratic state to enforce rules of constitutional law in the same way as the courts enforce other laws’ , see also ), and Parliamentary sovereignty: ‘the most fundamental rule of UK constitutional law is that the Crown in Parliament is sovereign’ . What is missing is any assertion of constitutional principle justifying (and delimiting) the role of the Crown. The roles of the judiciary and of Parliament are justified by constitutional principle, while the role of the Crown seems to suffer from an embarrassing legitimacy gap. The many references to principle in Miller are all references to principles that restrict the authority of the Crown (e.g. ‘…the basic constitutional principle to which we have referred at paragraph 25 above, that the Crown cannot change domestic law by any exercise of its prerogative powers…’ ). And the judges wrote that prerogative powers are ‘…the residue of legal authority left in the hands of the Crown. As Lord Reid said in Burmah Oil Co v Lord Advocate  AC 75, at 101: “The prerogative is really a relic of a past age, not lost by disuse, but only available for a case not covered by statute”’ (Miller ­). If the authority of the Crown were a constitutionally unprincipled holdover of autocracy, then perhaps constitutional principle would demand that the court impose a rule that only Parliament can make a decision as constitutionally important as the decision to trigger the withdrawal of the UK from the EU. Mrs Miller is in good company with Lord Reid. Their view seems to be encouraged by a constitutional history in which powers of the Crown were progressively taken away from the monarch in person. The Court in Miller quotes Lord Browne-Wilkinson’s remark in R v Home Secretary ex p Fire Brigades Union  2 AC 513 at 552, that ‘the constitutional history of this country is the history of the prerogative powers of the Crown being made subject to the overriding powers of the democratically elected legislature as the sovereign body’ (Miller ). He might have added that the history included a great advance in the rule of law, when the prerogative power of judging was given to an independent judiciary. And then, if the rule of law and Parliamentary sovereignty are our principles, it can seem as if the royal prerogative is an unprincipled remnant of arbitrary power, like a stubborn stain that we have not completely washed out of the constitution. Blackstone’s account of executive power is 250 years out of date. He took prerogative power to be absolute and unreviewable; today it is not absolute and it is subject to judicial review. And his account has defects (for example, he exaggerated the necessity for unification in a single person; the monarch had for centuries been exercising executive power in council with ministers who not only advised him but acted for him). But Blackstone was right about the value of unanimity, strength and dispatch in the executive function of government (and, in particular, in action on behalf of the UK in international relations). That is not only a value of a past age; it is essential in the 21st century. And the obviously great accomplishment of our constitutional history was to keep that executive role efficient and unified, while making it democratic and accountable. This achievement was still incomplete in Blackstone’s time, but it was well advanced: the House of Commons’ control over revenue was already generating a political necessity for the monarch to have ministers who could command the confidence of the House of Commons. In our constitution today, executive action is itself democratic. First, the Prime Minister is appointed (and can only be reappointed after the next election) through a democratic process. Secondly, and very importantly, she does not govern alone but as the chair of a Cabinet –an arrangement that enhances democracy by requiring the Prime Minister to achieve cooperation from a group of the senior leadership of her party. Thirdly, she and the rest of the Cabinet are accountable to the democratic chamber of Parliament (through its procedures, and also through their absolute need for its confidence). Fourthly, they are subject to the legislative sovereignty of Parliament, and to the orders of the courts. In 2016, the need that Blackstone identified for a unified and effective executive, combined with those four features of our government, justifies the authority of the British government to manage international relations. We undoubtedly need Parliamentary scrutiny of the government’s Brexit policy and operations. Parliament is delivering that scrutiny in extraordinary forms that respond to the extraordinary situation, and the government has a constitutional duty (and faces political pressure) to cooperate. The scrutiny includes a series of inquiries in the House of Lords’ European Union Committee (see its report, ‘Scrutinising Brexit: the role of Parliament’), and its sub-committees, the work of the House of Commons’ Exiting the EU Select Committee, Prime Minister’s Questions, Opposition Day debates (notably the debate on 12 October, 2016), and a series of debates in the House of Commons in government time. That will all work out against the background of the government’s need for the confidence of the House of Commons. And it will generate diverse opportunities for opposition to the government. But even granted that the authority of the Crown in international relations is justified in principle, would the legislative process add something that would advance responsible government? No: the momentous constitutional importance of the issues and the multiply-ramified consequences do not make this question –the decision to trigger Article 50– into a legislative question. There will be a high mountain of legislation ahead, but creating the need for it is not a legislative decision; for all the huge consequences, it is a step in the management of a relationship with the European Council and with the other member states of the EU. We are in the midst of a process that involves a tension between demands for the government to disclose its negotiation strategy, and claims by the Prime Minister and the Secretary of State for Exiting the EU that they need to be able to negotiate without having disclosed their strategy; the requirement of legislation will frame that tension as contention over amendments designed to restrict the government’s options in the negotiation. And the process will require submission of the measure, after approval in the House of Commons, to the House of Lords. There is no indication in the Miller decision, or in the arguments of counsel, to support the conclusion that the decision making will be carried out better or more accountably through the process of legislation, than through an executive decision under the intense Parliamentary scrutiny that the government faces. The constitutional import of the matter does not make the triggering of Article 50 into something other than a critical step in a negotiation on behalf of the UK, requiring whatever unanimity, strength and dispatch the British government can command. Brexit will go on, even if the government has to ask Parliament for legislation. But there is no constitutional imperative for courts to reshape the working out of this constitutional convulsion, by interpreting the ECA 1972 as taking away the government’s responsibility for this aspect of our international relations. I have not said anything about the role of the referendum. For all its crucial importance for the government’s decision, it is incidental to the points of constitutional principle that I have aimed to explain. It may seem that the royal prerogative really is constitutionally unprincipled, because the implication of this note is that any Prime Minister could have sent a letter triggering Article 50 to the European Council at any time since the Lisbon Treaty in 2009, in a fit of pique, ending the UK’s membership! But in fact, the British government is much more closely constrained than that, and the current protracted crisis illustrates the pressure that the executive is under, in its exercise of the prerogative. If you think that the government’s current proposals to trigger Article 50 are an exercise of arbitrary power, just ask yourself whether any government would have contemplated acting on behalf of the Crown to trigger Article 50 on a whim, without the earthquake of the referendum result (and for an argument that the referendum is highly relevant to the legal issues in the Miller litigation, see Professor Leslie Green’s post, ‘Should Parliamentary Sovereignty Trump Popular Sovereignty?’). This is very persuasive. Is it irrelevant that Article 50 constitutes a procedure provided for by the Treaties which, by virtue of section 2(1) of the ECA 1972, is to be given legal effect or used in the UK and ‘recognised and available in law’? And would it be unrealistic to suggest that the government should now concede the point and introduce a suitable bill in order to avoid delay and leave the issue open to further argument on another occasion? Thank you. Yes, you must be right that it is important that the ECA 1972 provides for recognition and availability of Art 50, but I suppose that does not answer the question of who has the authority to invoke Art 50. As explained in my post, I think the answer to that question is that the British government has that authority as part of its constitutional responsibility for the conduct of international relations on behalf of the UK, but I think it takes an argument of that kind to answer the question. And I do not know the answer to your second question! Because I don’t know whether presenting a bill forthwith would avoid delay, or create delay. But I expect that the UKSC will decide it so quickly, that the delay does not matter, and there is good reason to appeal. If Parliament enacted a statute providing for a power to the duty-holder to discharge the international-law obligation to notify that would remove one of the causes of action in the Miller claim: the challenge to a future decision to notify. However, the question that this would beg is whether, in law, any decision had been made by the UK to leave the EU: this is the second decision being challenged. Don’t the calls within Parliament for the government to disclose more before triggering article 50 suggest that this somewhat panglossian view of the separation of powers is at odds with reality. Had the government agreed to disclose more to Parliament I suggest the action might not have been brought. It is the democratic deficit, to use a term often applied to the EU, that has brought us to where we are. On the point that ‘the argument made is essentially political and not legal’, I think that the legal issue is fascinating and controversial partly because it cannot be addressed without a political argument. The Crown indisputably has legal authority to make and unmake treaties (Miller ); the idea that the ECA 1972 took away the government’s power legally can only be sound (so I argued) if there is political reason to think that the Crown’s power over treaties is constitutionally illegitimate. Some legal arguments can only be made by including political premises. Professor Endicott says: “But Blackstone was right about the value of unanimity, strength and dispatch in the executive function of government (and, in particular, in action on behalf of the UK in international relations). That is not only a value of a past age; it is essential in the 21st century”. That last sentence is highly arguable, to put it no higher. Unanimity, strength and dispatch are of course desiderata, and tend to be claimed as the main justification of the UK’s first-past-the-post electoral system, a system that nearly all other democratic countries have chosen to reject. They are far from being over-riding, as compared with e.g. due consideration of the various likely consequences of action/inaction, the informed support of at least a majority of the country, and the protection of minority rights. The priority any individual gives to them no doubt reflects his/her political stance, those on the right favouring unanimity, strength and dispatch, which is indeed the essence of fascism – ‘fascis’ meaning a (strong) bundle of (individually weak) sticks – while the liberal left tends to focus more on other aspects. In practice and in modern times, there has to be a compromise, and that is provided by having Parliamentary control – so long as Parliament is reasonably representative and capable of independent action – over the actions of the executive before it undertakes anything that is, or may prove to be, irrevocable, except perhaps in cases of extreme urgency. If precipitate action by the executive is or may not be capable of being undone, then it is not to the point to show how much Parliamentary debate, and how many opportunities to halt or dismiss the government, may be possible after the event. Professor Endicott also says: “In our constitution today, executive action is itself democratic”, and describes the constraints that generally apply to make it so. But that also is not to the point. Given the almost arbitrary results that are possible under our electoral system, it is entirely conceivable that, with only quite modest changes to the voting patterns in the 2015 general election, we might have ended up with a minority government composed exclusively of UKIP MPs, representing, say, around 30% of the votes cast and appreciably less of the total electorate. On his reasoning, and that of Professors Finnis and Elliot and of Dr. Hooper, such a government could have legitimately triggered Article 50 without prior reference to anyone. The fact that a majority in Parliament, let alone in the rest of the country, might well subsequently condemn the move would be in vain, if it were ultimately held that such a notice is indeed irrevocable – and no-one can give categorical assurance today that it is not. To my mind, if it is truly still legitimate to exercise the royal prerogative in such circumstances, the sooner its scope is curtailed the better, and I hope the Supreme Court will see its way to achieve that. I understand that Anthony Arnull is saying is the Government should introduce a bill now in the Westminster Parliament for permission to trigger Article 50 so that they can get on with it. I cannot believe, despite all the discussion, that the Westminster Parliament would not approve such a bill. But, in so doing, parliamentarians of all persuasions would make it clear that they wish to be fully involved in the negations as they unfold; the statement by the Westminster Government that involvement by Parliament would tie their hands is formally true but ,as leaks will inevitably flow, the negotiations, and inaccurate variations of them will get out anyway to the benefit only of the media. I find it ironic that, on the EU side, the negotiations are to be debated in the European Parliament but not in the Westminster Parliament that is at least as affected by the outcomes. 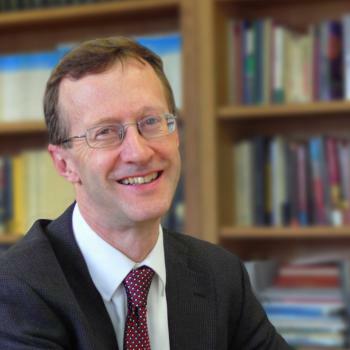 Professor Endicott self identifies as “Professor of Legal Philosophy, University of Oxford” on this legal UKCLA academic blog. His Oxford faculty website identifies his “special interests in law and language and interpretation”. He endorses his Oxford colleague Professor Finnis’s painstaking explanation of “home truths of constitutional law”. Professor Finnis alleges the claim in Miller rests on a “glaringly fallacious syllogism”, so his analysis falls to be judged by the rigorous standards of the academy of analytic philosophy. “Philosopher” Professor Endicott nowhere points out that Professor Finnis’s argument is circular. It simply transfers the question of legality in Miller to double taxation treaties. In the formal logical terms of the academy of analytic philosophy it can be cast as a fallacious syllogism. The academy of legal philosophy should have a special role to play in analysis of the claims in Miller because Article 50 is a meta-rule involving complex questions of “law and language and interpretation”. The “home truth” is that legal philosophers have failed to bring even minimal expertise to bear on the interesting questions raised by Miller, at least so far on the UKCLA blog. Professor Endicott self identifies? Are you implying that others do not identify him as a professor at Oxford? Do you not self identify as Sean Feeney with whatever qualifications and titles you have? How else do you introduce yourself? If you consider the blog adds little to your appreciation of the issues, pass by quietly. Ad hominem comments are not appropriate. “Elliott thus seeks to avoid the evident circularity of Finnis’s argument”. Sean Feeney, I accept and agree with the essence of the argument you make and thought Phillipson’s post was excellent. BTW amongst the several Chris’ in my circle I am known as Chris V ( initial not a claim to be the 5th of anything). I think I can claim to have self identified since I submitted the post. QED since we are into Latin. Having watched a lot of the argument before the Supreme Court this week, I have been persuaded by Prof Endicott’s view, having initially supported the claimants’. It seems to me that the real issue can be boiled down to one main issue: namely, does a unilateral executive decision triggering Article 50 frustrate the will of Parliament? I see that, on one view, doing so would render the ECA 1972 and other statues a ‘dead letter’ in the words of the Fire Brigades Union Case, and think ordinarily, rendering a statute a dead letter would frustrate Parliament’s will. But the ECA and other EU statutes have a different character in that they are responsive to the executive’s treaty-making decisions, taken pursuant to the prerogative, i.e. they are statutes passed on the footing that the executive has taken the decision to sign the UK up to the Treaties. However, while that is the basis on which the ECA 1972 etc was passed, those Acts seem to me to be entirely neutral as to the issue of whether the UK should have become and/or should remain a signatory to the Treaties in the first place. I don’t see anything in the statutes that shows that Parliament’s will is that the UK remain a signatory to the Treaties; the focus of the statutes is on implementing the executive’s decision, taken on the international plane, that the UK should become a signatory. The language of the statute therefore doesn’t, in my view, do anything to displace the default position that the power to make or unmake Treaties is one to be exercised by the executive pursuant to the prerogative. Can I put a contrary view. One of the arguments advanced by the government in its written statement, regarding its use of the prerogative, is that it does so already in relation to voting on EU laws. And so by analogy the government can use prerogative to change laws as a result of negotiations on exiting the EU. The rights we have are contingent on the treaty and exist under treaty from time to time. This argument is completely wrong, a conflation and, frankly disingenuous. There is no symmetry to be drawn between the EU institutions, in accordance with their procedures, and with the participation of UK representatives, deciding to withdraw some or all the rights conferred heretofore, which would be given effect to under ECA, and a unilateral withdrawal brought about by serving notice under article 50. One is a multilateral intra-governmental action, the other is a unilateral action bringing about inter-governmental negotiations. The first is giving effect to the treaty by operating in accordance with its institutions and the second is taking an action that would remove those rights contrary to the treaty. Such removal of rights would be prior to any agreements by Parliament. It is also arguable that when the UK ministers act within EU institutions they are exercising a prerogative under statute to give effect to membership of the EU. The suggestion that dualism creates a situation where the executive can act so as to frustrate the expressed will of Parliament would create conflict. That in this instance they are both in accord is nothing to the point. The ECA is perhaps unique in creating rights via international institutions from time to time, rather than via domestic legislation for each treaty, but the rights exist by virtue of the ECA and related EU legislation and cannot be removed by the executive by treaty except by authority of statute. And nor do you see anything to the contrary. Except for some time limited Act all legislation is assumed to be in force until repealed. As Simon Jenkins stated in an article in the Guardian on Wednesday ‘The fault dear Parliament is not in our Supreme Court that we are underlings, But in ourselves that we are without power’. Is it not possible for an MP to Table a Question along the lines that ‘This House has no confidence in Her Majesty’s Government to trigger Article 50 without prior consultation with This House’? This entry was posted on November 11, 2016 by Constitutional Law Group in Europe, European Union, Judicial review, Judiciary, UK government, UK Parliament and tagged Article 50 TEU, Brexit, Brexit judgment, Constitutional Principles, double taxation treaties, European Communities Act 1972, Fire Brigades Union, foreign affairs, Miller v Secretary of State for Exiting the European Union, Parliamentary sovereignty, prerogative powers, Referendums, Royal Prerogative, Rule of Law, statutory rights and prerogative, UK EU Referendum.